Cell-based assays have become the go-to technology for pharmaceutical, environmental, and toxicology labs. Cells are far less costly to maintain than test animals and don’t involve the ethical considerations. But the complexity of cell-based assays compared with chemical or biochemical assays presents distinct challenges to laboratory managers. Interfering events wreak havoc with live assays. Cells’ natural fluorescence overlapping with detection signals is one example. Moreover, auto fluorescence varies unpredictably with cell health, which is a function of temperature, humidity, and gas composition. Click here to read more about Microplates for Cell-Based Assays. Featuring V-drive technology, Thermo Scientific™ TSX Series -80°C Freezer provides temperature uniformity that adapts to your environment, protecting samples and offering significant energy savings. While conventional ultra-low freezers use single speed compressors that continually cycle on and off, the V-drive runs at variable speeds, adjusting cooling performance to the conditions inside and outside the freezer. When conditions are stable, the V-drive runs at a low speed, reducing energy consumption while maintaining a stable temperature for sample protection. When there are frequent door openings, or samples are added to the freezer, the system detects the activity and increases the drive speed. Learn more about the TSX Series -80°C Freezer on the Thermo Scientific website. After extensive research, engineers at Anton Paar developed the Multiwave GO - a new microwave digester with two groundbreaking features: DMC technology which provides the best of Monomode and Multiwave microwave systems, and Smart-Vent vessel technology which simplifies handling, eliminates consumables, and dramatically improves vessel lifetime. See how the Multiwave GO works here. I need to measure a suspension with particles under 10 um. I use wet dispersion unit (Hydro 2000 S). Does another laboratory measure the same suspension. Is it possible that we can not measure the same because of optical bench? What is the difference? We use the same method. Advise this member. Do you know if it is possible to control extra non-Vapourtec pumps using the Flow Commander software? Or does one HAVE to buy pumps from Vapourtec only? Advise this member. We have a donated Thermo XSeries II ICP-MS. We had to buy a new computer for it and installed the software from scratch. Now I am looking for default passwords. I have heard there at least two (RF and Engineer passwords). Can you confirm this? Can you please help us with this? Advise this member. On our BioFlo 310(10L) vessel, we want to set up scales to measure output, but the bioflo 310 wont pick up the hardware. Anyone here familiar with BioFlo 310? Advise this member. CRAIC Technologies, a leading innovator of UV-visible-NIR microanalysis solutions, is proud to announce the introduction of its Glass Refractive Standards set. This set is used to calibrate instruments, such as CRAIC Technologies rIQ™ , that are designed to measure the refractive index of microscopic fragments of glass and glass-like materials. Read more. The introductions include the new Waters® Vion IMS QTof Mass Spectrometer, a new bench-top tandem mass spectrometer featuring ion mobility and REIMS Research System with iKnife Sampling, combining direct-from-sample ionization with high-performance time-of-flight (ToF) mass spectrometry. Read more. At upcoming events in the colloids conference calendar, physicists from Malvern instruments will reveal new advances in the measurement of interfacial interactions that directly support the control of industrial product performance. 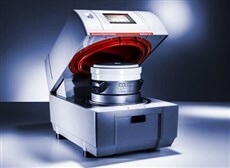 The advances center on the measurement of zeta potential, a parameter that quantifies the attractive/repulsive forces between particles, or between a particle and a surface. Read more. Cambridge Scientific is a service company specializing in the sale of refurbished analytical chemistry, biological and pharmaceutical, and environmental laboratory as well as medical equipment. Founded in Cambridge, Massachusetts they have expanded nationally to better service their clientele. Cambridge Scientific continues to have access to thousands of Biotechnology and Pharmaceutical Companies, as well as Hospitals, Universities and Colleges giving us access to a wide selection of high quality used laboratory equipment. We have been having issues with our ONH 836 going through 24 volt power supplies, These seem to be failing even when the instrument is idle. Has any one else experienced this issue? Advise this member. I want to measure the cell size, but recently the results are half as they should be. If the error is small, I can calibrate it. But if the values become half of the values before, should I still calibrate it? Or is there something wrong in the machine that I should fix. Advise this member. I have the Source removed but would like to know the part number that I need to order Advise this member.